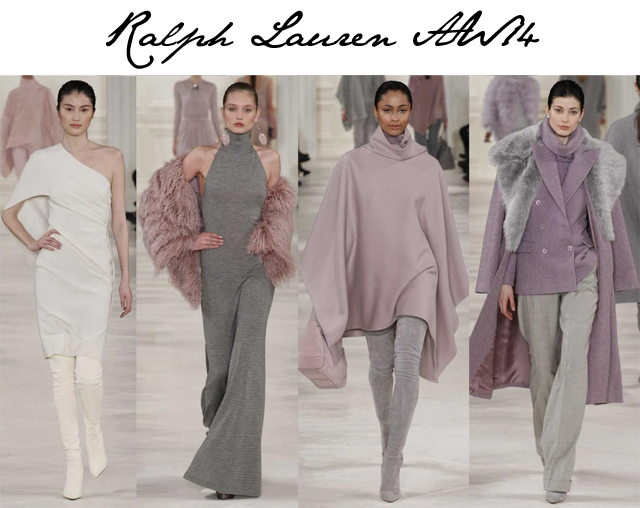 Ralph Lauren debuts new line while showcasing AW14 runway collection... we want it all! 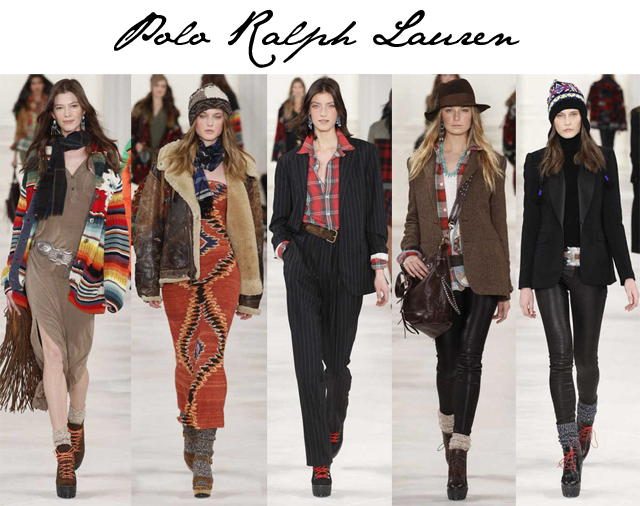 Where to start when it comes to Ralph Lauren autumn winter 2014? It would have been enough just to see the beautiful, elegant and luxurious runway collection for the season from the American designer. RL dug deep into his designer mastermind archive to bring back some beloved shapes for everything from double breasted jackets to high neck cashmere dresses. These are the cuts we have come to know, love and expect from Ralph Lauren and they're all back for the new season. He also showcased covetable knee high suede boots, fur trimmed overcoats and wide leg trousers that are absolute essentials for every wardrobe for the season. The graceful Ralph Lauren women lives on and thank God for that. Now, it didn't end with the runway collection, as you'll see from the images above. Ralph Lauren took advantage of having fashion's biggest hitters together in one room. He used the runway as a showcasing ground for the launch of the new Polo Ralph Lauren for women. Now let's just say up front that women have been borrowing from the Polo Ralph Lauren men line for years. That may still go on, but there's no excuse now for not wearing the beautiful pieces designed just for you, ladies. The entire Polo Ralph Lauren women's collection is like taking a step back in time with Ralph Lauren to days of old. This is where the RL lifestyle jumps up and screams at you for attention. Brightly coloured knits, fair isle sweaters, pinstriped suits mixed with flannels and touches of turquoise are all staples of the man and the brand that is Ralph Lauren, and they're all part of the Polo RL line for the new launch.